Canadian LAVs to repressive regime in KSA? Why is our Canadian government, which represents all Canadian citizens to the world, still committed to sending billions of dollars worth of weaponized Light Armoured Vehicles to the morally bankrupt, terrorism exporting, Wahhabist regime in Saudi Arabia? Yes, you inherited this appallingly brokered weapons sale from Crime Minister Harper but that should not be an excuse for us to forsake morality, neutrality as well as common sense and sensibility in the name of the almighty dollar. The LAVs in question are still under development so none have yet been shipped. i strongly urge you to uphold Canadian human rights policy, practice and law and deny export permits for arms sales to the misogynist, oppressive oligarchy in the Kingdom of Saudi Arabia. If you do go ahead with this mephistophelian matter you can add Human Rights abuser to your CV when you’re looking for your next job. Hey, we’ve had some break-ins in my neighborhood and there’s a real suspicious guy… this guy looks like he’s up to no good or he’s on drugs or something. It’s raining and he’s just walking around and looking about. Dispatcher: Did you see what he was wearing? But it’s not my clothes that indict me. It’s my nose, my lips and my ancestry. Why does my skin speak louder that the words I say? We don’t assume all whites are Timothy McVeigh. I can’t escape your ideas of my race. It’s ok to infer, conclude, perceive. As long as we know what we deduct can deceive. Cause you don’t know me. That’s all that I ask, I’m begging you please. But outside the game you quiver in fear. Words laced with curses. No wonder we clash. If we don’t begin to take a fresh start. The judge tried to exclude race. That’s a fact. But the jury could not forget that Trayvon was black. Cause we all look the same when we stand in the dark. Now judge me simply by my diction. Hear my emotion and conviction. I want to enlighten not divide. I want respect for your life and mine. If fear is the cause, that’s something we share. And fear is caused from not knowing what’s there. And I’m not going anywhere. I’m part of some gangs you’ve heard all about. And a proud Eagle Scout. I will identify myself so you’ll see there’s nothing to fear. The idea of being black has been twisted so much. Threatening, and lazy, and sitting on our butts. And those that know me still seem to judge. You call me white cause I’m none of the above. Based on what you believe, neither is right. I am Chris, one of a kind. So don’t judge me by your experiences but by mine. And I’m inclined to tell you, I’m not alone. In moments like this we all can be strong. Let our voices be heard. Let them relish the sound. Cause how can we move forward, if we all stand our ground? After that verdict, the value of my life seemed bleak. What are my chances if they demonize me? But this video is our self-defense. Recently one of my children, a 2nd year Uni student, asked me for tips on how to save money as he never seems to be able to save (and oft-times ends up asking for help at the end of the month to pay for expenses that he can’t cover from his two part-time jobs. Here is my reply which i addressed to all three of my children who have fled the nest. A while ago your younger bro asked me for tips on how to save $$$. i guess i learned how from my parents who both grew up during the depression. When i earned $$$ as a kid i saved it, at least most of it. by the time i was 15 i had saved $500 from my paper route; i only earned a few dollars a week for delivering papers for 5 years. 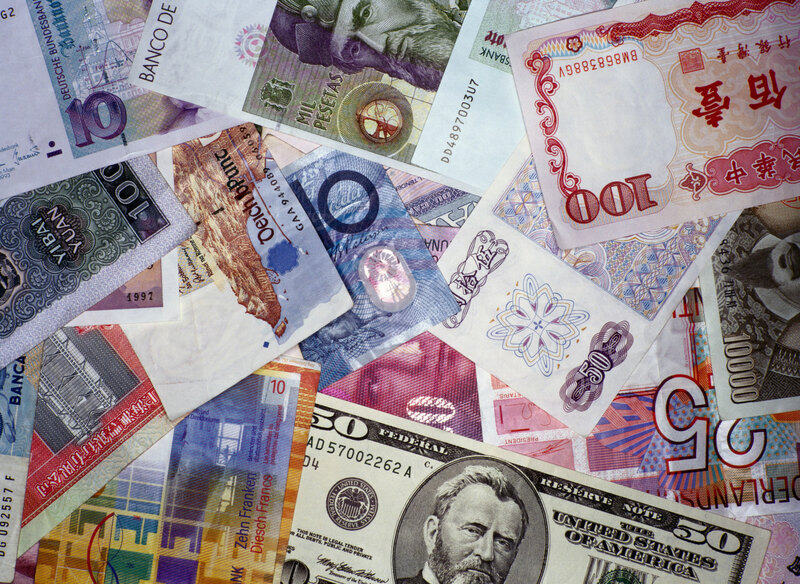 The $500 became the foundation of my trip to Europe as a 19 year old once i finished high-school. After i quit the paper route i got jobs as a life-guard, swimming instructor and grocery bagger. i saved some and spent some. i spent on my collection of vinyl records while my contemporaries spent their pay cheques on smokes etc. Those that lived didn’t get anything to show for their hard work, it went up in smoke or down the toilet literally pissed away; i have a 1000 records in mint condition. Sometimes its about not wasting the $ you do spend. 1. Never ever buy on credit: when we use a credit card we always have auto-payment of the entire amount every month, that way we don’t get suckered into paying their 27% interest (should be illegal but it isn’t). nowadays it seems we just can’t get away without using a credit card especially for online stuff i.e. when i book our tickets to go back home every summer. The only time you should really take out a loan is when/if you buy a home. (ok i took student loans when i was at Uni but i made sure i paid them off before i got married to yo momma; didn’t want that hanging over my head while trying to start a family). i have never and will never take out a loan to buy a car. If you can’t afford it you don’t need it. Virtually every where you’ll live and work you’ll find you can use a bicycle more efficiently than a car to get around. For sure it will be cheaper and you’ll have the added benefit of exercise. You’ll recall the last time we lived in a major metropolitan centre in North America we did not get a car but instead we all cycled everywhere most of the time or took public transport. 2. don’t do Fivebucks/Timmy’s coffee. get your own travel mug and use that with instant coffee and hot water. 3. don’t do restaurants/fast food. they may save time but they sure don’t save $. also the food choices are oft times less than healthy. 4. brown bag it. take your own homemade lunch to school/work, don’t do the cafeteria/McD route. too expensive on any income unless you own Microsoft. 5. avoid drinking in bars/pubs. again just too expensive. we still act that way here. i can count on one hand the number of times i’ve gone to a pub here in 2.5 years. i cringe when i see the prices: one beer at the 4 star hotel costs as much as half a case of beer at the govt controlled booze shop. The prices at the 5 star hotel are even more ridiculous. when i was a Uni student i would treat myself to one beer a week, end of story. Just too expensive to drink and save $ these days what with all the taxes. 6. Sally Ann/Goodwill or garage sales for good used clothes and other things you might need. i’ve bought some really nice previously worn clothes at The Salvation Army thrift shop or other thrift shops like the one near your old place guys. You may recall i bought quite of bit of used furniture from garage sales when we lived in Cowtown. 7. Buy used books, not new. This is especially good for text books if possible (i know they always aren’t available but do look around.) These days you can download a lot of free books to your tablet, great free entertainment. And there is always the library. 8. Take advantage of the free stuff on campus, concerts, films etc. for your entertainment. 9. Don’t do anything illegal: the lawyers fees will screw you over. One of my classmates was once caught up by the RCMP in a big drugs sting. His parents had to mortgage their home to pay for the lawyers. We will not do that for you. An another word for the wise, because of the social responsibility work i’m engaged in people may try to get to me through you so please make sure you’re squeaky clean. So i repeat: don’t do ANYthing illegal. We don’t need the hassle or expense. 10. Buy food that is in season. Buy day old bread etc. shop for groceries from a list; don’t impulse buy when at the supermarket and only buy groceries when you’ve recently had a meal. Eat the groceries you buy, don’t let them rot in the fridge. 11. File your income taxes on time, claim every credit you can. You should be able to get $ back every year. If you’re late with your claim you’ll get the $ back late, if you owe $ you’ll have to pay heavy fines. 12. Pay all bills on time or before they’re due i.e. rent, utilities, health care premiums etc. You know you end up paying more otherwise. 13. Put $ aside for a rainy day. Do not spend every cent you earn each time you get paid; put a percentage aside in the bank and leave it there for when you need it. i used to save 50% of my pay when i was a kid. Later, at uni it was harder but i still kept a cushion in case i had an emergency. You can never tell when you might need $ for something unexpected like a wedding or a funeral… having the dosh on hand to pay for a gift or the needed airline ticket would be nice. You basically have to provide for three things: Nick’s physical, mental and emotional needs. mental: speak to him in your mother tongue; that way he grows up bilingual, your language plus English which he’ll pick up on the street etc. ; another thing to do for his mental well-being, if you’re not already on this page, is to read to him every night at bedtime, research shows that children who are read to will have a vocabulary 4-7 thousand words larger than a child who is not read to. the kids who are read to will have a head start at school that the others will never catch up to. Emotionally, if you’re breast feeding him he already knows you love him, when you read to him at bedtime you further cement that love relationship + you build up a sense of a stable life with a set of rules and boundaries (invisible but nonetheless necessary) and you start building a life long love of books (should be freely available at your local library); basically you just have to love him, which i’m sure you’re doing. you can also help him by providing him with a strong sense of right and wrong, he’ll follow your lead; so don’t do anything you don’t want him parroting. A lot happened in 2011. People around the world were affected to a greater or lesser degree by what occurred. i was struck by an, at times, overwhelming sense that i could not do anything to affect change or to help those working for change either here in Sohar, Oman or in the streets of the cities and towns around the world where people are trying to make a difference. In the end, i decided i could, in my small way, bear witness to what was happening and work towards small positive changes that i think i can impact. i would ask that you consider joining me in my New Year’s resolution. As i read that i reflected on 2011 and what i had witnessed either in real life or through the words and pictures of friends, acquaintances and colleagues. i decided i had to beg to differ with Jamie. i feel that violence is increasing, partly because, at 7 billion and counting, there are more of us human beings around and partly because we are becoming inured to violence, both casual and causal. Violent action and rhetoric are, it seems to me, constantly being ratcheted up in attempts to hold off change and secure the status quo. Here in Sohar we experienced the worst aspects of the Arab Spring when a citizen was shot and killed as he photographed the nascent movement for change. my workplace was closed for a week while our students demonstrated for change. 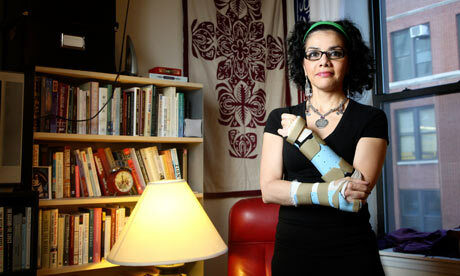 In Cairo twitter friend Mona Eltahawy had her left arm and right hand broken by military security forces while they sexually assaulted her. Mona writes of her experience in detail here. Also from Cairo came this graphic image of a woman being singled out for gross abuse by the military. She was in the streets demonstrating for an end to rule by the Supreme Council of the Armed Forces. If ever a picture told a thousand words this was that occasion. The full story behind the picture can be read here. What is not told is the story of the Coptic Christian who attempted to save this Muslim demonstrator from the beating she was getting. He ended up being shot in the knee for his efforts. In North America the quotidian use of violence against peaceful, non-violent demonstrators is best summed up by this now infamous picture of one sworn to protect and serve disabusing all and sundry of his role in life. Violence has become banal and utilized indiscriminately by authorities around the world to either maintain their power or the status quo. TIME magazine’s Person Of The Year issue featured The Protester; very fitting but the cover story missed several important protest actions in the MENA region and elsewhere. If one thing has become crystal clear it’s that money talks. The upcoming election in the USA is up for grabs to the highest bidder. Occupiers are slowly changing the focus away from the 1% who control the pocketbooks to the 99% who should be controlling the streets. At this time and place in my life i’ve decided that i can best effect change by watching how i spend my money. Going out on the streets while i have four kids in school isn’t a good idea. i won’t be able to help them if i’m occupying the inside of a jail cell. Nestlé because they are still illegally promoting their infant formulas as better than mother’s milk. i’ve been boycotting Nestlé ever since i was working in Nigeria in the late ’70s and i heard of their deadly practice which actually leads to mothers in developing countries inadvertently killing their infants. Maggi is also a Nestlé subsidiary and should be avoided like the plague. Union Carbide since 1985 because they still haven’t paid full reparations for the Bhopal disaster. Shell Oil since 1988 when i first started buy petrol/gasoline for their ongoing lousy environmental record in the Niger Delta in southern Nigeria. 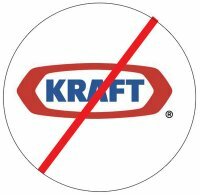 i’ve been boycotting Kraft the longest, since 1973, when i attended a Perth County Conspiracy concert. Band members railed against this food processing behemoth which consistently twists the arms of its supplier farmers in its pursuit of profit. There are better quality foods from a host of other more socially responsibly producers. McDonalds ever since i worked there in 1974. They serve a product; they do not serve food. Nutritional value? Forget it. Working there, behind the grill, was eye-opening and disgusting. Just two days ago i decided to add Chik-fil-A when i discovered that they are promoting homophobia. Not that there is any chance of my ever darkening their doors as my wife Kim and i decided to become vegetarians over a year and a half ago. It was, plainly put, the right thing to do, for ourselves and the environment. Meat production utilizes far too much resources. So while you may feel there is nothing you can do there is. Occupy your wallet, spend your money where it won’t hurt others. Support a political party or politician whose views you agree with. Late last year i finally became a registered member of a Canadian political party despite never being either able or allowed to engage in the Federal political process through the ballot box in my home and native land. i’m now a proud member of the Green Party of Canada and will do what i can, from a distance, to see that we gain more seats in Parliament. Stephen Harpy, his policies and his politics are the greatest threat to the Canada that i knew and loved growing up in the ’50s and ’60s. So i’ll rage against him and his, in this blog, on twitter and on a ballot if i’m ever allowed to vote as a non-resident Canadian citizen. No i’ve not changed my stance on controlled substances nor did i find myself afoul of the law here in Oman. i had a 2.3 cm long vesical calculus (stone) lodged in my bladder caused apparently by a slightly enlarged prostate. The stone was causing discomfort and haematuria (blood in urine). So i spent five days in Sohar General Hospital recently. It was an adventure i would sooner have avoided but, apa boleh buat? (What to do?). Went in last Friday evening for pre-op observation and to ensure that i did not eat or drink anything in the half a day before the procedure. Dr Joseph, a urologist, told me he would remove the stone and possibly remove my prostrate if need be, the decision for the latter would be taken “on the table”. Saturday morning i woke up to find breakfast waiting for me (the catering staff hadn’t been told i shouldn’t eat). i was a good lad and avoided eating. i was wheeled into the OR at 11:25 and a spinal was administered. i noted three young trainee doctors there to observe the procedure, i figured why not? i train teachers so why not let student doctors observe me being worked on? A green curtain was put up and Dr Joseph entered quietly and immediately got to work. He told me later that the stone was difficult to remove as it was large and the center was very hard. While he was in there he decided to do an endoscopic resection of my prostate because he felt it was what had caused the stone in the first place. So i’ve kept most of my prostate which is good. While resectioning my prostate the good Dr found many small stones which he also removed (the smaller bits in the above photo). Then came the insertion of the catheter. This was painless as i was still under the spinal despite already being able to move my feet at this point. The anesthesiologist had done a wonderful job of estimating how much to give me so i would feel what was going on. After a very short while in the recovery room i was wheeled back to the male surgical ward where i spent the next few days hooked up to a drip into my bladder to help wash the wound. The removal of the catheter was a totally new experience that doesn’t bear repeating. i was rather amazed at how long it was… 30 cm of the 40.5 cm length had been inserted up my yazoo. When the nurse took it out he told me to take a deep breath, i ended up having to take two deep breaths. The coins are the same size as a quarter dollar. 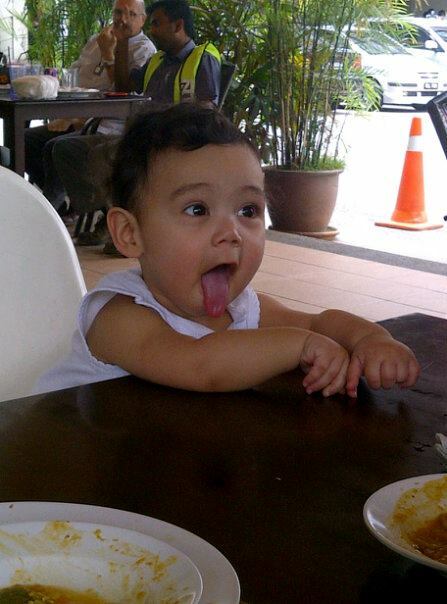 So now i’m supposed to take it easy for the next several weeks, no straining, lifting or bonking allowed… apa boleh buat? What did i learn? Well Pete Townsend’s “hope I die before I get old” dictum wears thin after fifty. i’m thinking i’m definitely no longer “young” so i guess i must be getting old or at least older. i’ve also learned that good medical care is priceless. The surgeries cost about OR630 (you do the exchange). Gary, my American colleague said it was a fraction of what it would cost back in the States. my employer provided healthcare should cover most or all of it. Alhumduillah! i’ve also learned that there are stark differences between Omani culture and ours. Kim’s students couldn’t understand why she wasn’t at the hospital all the time this week; she told them she had to work. Omani families in their hordes descend upon the hospital when one of their members is ill, some even staying over night. Kim came once a day while i was recovering, during the posted visiting hours. It was more than enough.